Wherever you are in the world, I am just a button away! 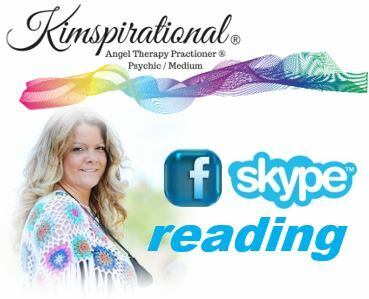 Click Below to book your Skype or video session. My readings are often described to me, by my clients, as being unique and gentle. I am a born medium, who connects with your Past Loved Ones, to help you with your own personal inquiry and to empower yourself! Connecting to our Past Loved Ones, is to connect with Heaven, heal and achieve a sense of peace and understanding. I am offering Skype sessions on Saturdays. Please book on line to see available times. If you are using the online booking system, please make sure that you receive a confirmation email. If for some reason, you do not receive a confirmation email, please contact us by email at [email protected] to let us know and we will manually reserve your spot.